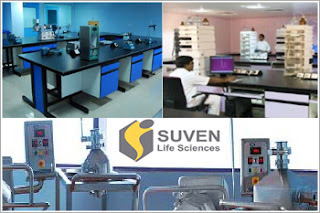 Shares of Suven Life Sciences have gained by over 2% after the company announced today that the grant of one (1) product patent from China and one (1) product patent from Sri Lanka corresponding to the New Chemical Entities (NCEs) for the treatment of disorders associated with Neurodegenerative diseases and these patents are valid through 2033 and 2032 respectively. The granted claims of the patents include the class of selective 5-HT4 and H3 compounds respectively and are being developed as therapeutic agents for major depressive disorders and are useful in the treatment of cognitive impairment associated with neurodegenerative disorders like Alzheimer’s disease, Attention deficient hyperactivity disorder (ADHD), Huntington’s disease, Narcolepsy, Parkinson and Schizophrenia respectively. “We are very pleased by the grant of these patents to Suven for our pipeline of molecules in CNS arena that are being developed for cognitive disorders with high unmet medical need with huge market potential globally,” says Venkat Jasti, CEO of Suven. Suven Life Sciences is currently trading at Rs208, up by Rs3.85 or 1.89% from its previous closing of Rs204.15 on the BSE. The scrip opened at Rs203.5 and has touched a high and low of Rs210.7 and Rs203.5 respectively. The stock is currently trading above its 50 DMA.